Home News The iPad in education: The tool of the century or the ultimate distraction? 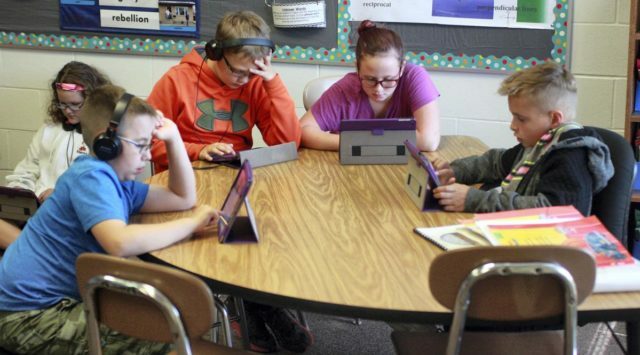 The iPad in education: The tool of the century or the ultimate distraction? The iPad was born in 2010 , although it had been brewing since much earlier. I remember that at first we were very skeptical about its possibilities, that was not a mobile phone or a laptop , it was a cheesecake and there were many of us, including myself, who thought that Steve Jobs wanted to sneak a bad new gadget. I had my first iPad at the beginning of 2013 , and the one I use now, which is the iPad 2017 , has already made the number 3, after having gone through an iPad mini 2. And interestingly I also use the iPad to work, since I dedicate myself to the teaching and the educational center where I work has implemented the iPad learning from the fourth grade of primary school until the first of ESO, the secondary education for those who read me from another country, with the aim of going up in courses as the years progress . Of course, the iPad's role in education can be seen in several ways. In my own particular I appreciate many advantages, whether working with him or with an Android tablet, it does not matter. 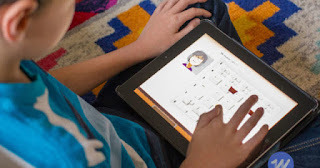 At first, many parents were very reluctant to incorporate this element in the education of children , and it has its logic, because when we started in 2015 with the iPad Air, it was a significant outlay. To that we must add the purchase of a heavy duty case , pay insurance to cover the damage caused to the device and some digital license. An important amount that at the beginning of September does not suit any of them, but the possibility of financing the purchase of the devices made it all more affordable for families. What is that of an iPad? First of all, we had to keep in mind several elements, many families did not know what this device was , how it was handled or how they could cope with some kind of problem. That is, overcome an authentic digital divide. And although we believe that children have been born already fully aware of what an iPad is, nothing is further from reality. They are perfectly capable of filling emoticons with any message , but they are unable at first to send an email and write it properly. After all, an iPad is just a window open to the world, and as such should be handled with curiosity. After all, Apple devices are easy to use . I am a teacher How do I use an iPad? What can I find? Second, teachers had to be trained, many of whom had not seen an iPad in their lives and in the worst case, were barely able to resolve any eventuality that arose in the classroom. There is one thing that is certain, working with the iPad or with any tablet usually gives a lot of headaches. You must have the center with powerful wireless networks to avoid collapses, in our case there is a distinct and independent network for each classroom and they are capable of supporting the connection of many devices at the same time. It also happens very often that some students downloaded applications that were not strictly educational , Snapchat, or musical.ly for example. A dragon with many heads to cut. Although it is clear that the most frequent error that causes in their devices is to block them by putting the wrong unlocking code . I do not know if they think that they have North Korea's nuclear missile program on the iPad, but when they discover that they can put an access code with more than four digits, they insist on putting a long one that alternates very rare and clear symbols and characters, to the minimum failure the iPad crashes . All this we have been solving with an MDM , which is a program that manages the operation of the iPad and its contents , since the ID of Apple are managed by the center itself and is a much easier way to work and solve problems when these are presented. Let there be no doubt that the problems are presented daily. An iPad is not a panacea, it is a fantastic resource if we work if we think the effort is worthwhile. If someone thinks that working with an iPad is discarding the traditional book or notebooks, it is very wrong. That is a reference that we can never lose, although the iPad complements it in an irrefutable way . And I say this because an iPad is just a window open to the world , which provides both educators and learners the possibility to explore in real time any area of ​​knowledge. Today I was explaining in class what the figurative meaning was in a sentence, and I gave the example of "looking at the shrews". A simple search gave us a picture of how that rodent is. The iPad is very attractive when it comes to any kind of task, since I usually send it by email or even AirDrop . It is very motivating for them, because they usually make sense of the work they do . My particular opinion is that it ends up giving meaning to the assimilation of contents and the teaching staff has many more resources at their disposal to be able to work on them. The key to all this is to educate in the technology of information and communication , students, and especially adolescents, can generate certain risks in the use of iPads: identity theft in social networks, upload inappropriate videos to any platform, abuse of messaging apps during school hours. We have been putting all this to rest thanks to the MDM, which allows you to deactivate certain options depending on the moment. There are many educational ones that are the passion of the kids , for example Kahoot , a quiz-game where they can demonstrate what they know and without losing the playful character, or Socrative , a new way of doing control. And no, we have not paid anything for any of the ones we use, the Ap Store has hundreds of them free. And is that working with iPad is much more to give the student with Google open and explore for yourself. It is a path that must be guided, exciting, hard and complex, however I think it is quite worthwhile , since the learning is quite significant and the teaching-learning process makes total sense. These technologies are here to stay. Am I perhaps found from traditional teaching? No, but we should not close anything, educate with iPad using it as a simple digital book is a mistake, but do we still plowing the earth with mules and plows?